Making headlines across the country is one thing you might not expect, it’s an item we use every day and most people don’t even think twice about it. Of course, we’re talking about straws. 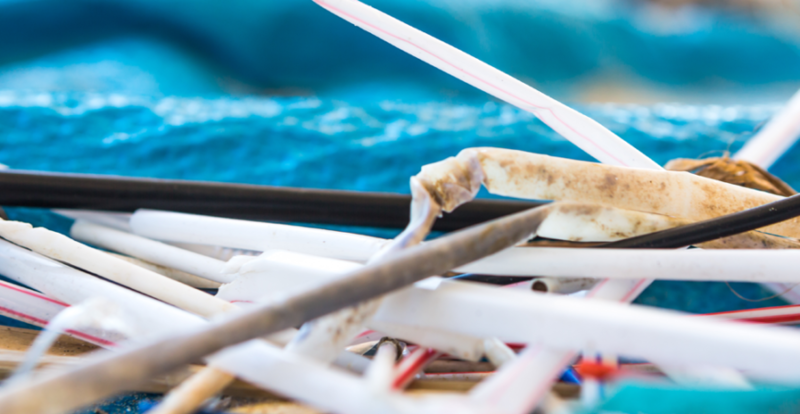 If you’re in California, you’ll know about the recently implemented straw ban that restricts the use of plastic straws in the foodservice industry. Eco-conscious citizens are beginning to wonder what they can do to reduce the amount of plastic that is flooding our oceans; thankfully we have a few solutions. Paper straws are on the uptrend across the country in anticipation of future legislation that will restrict the usage of plastic straws and many companies in the foodservice industry are already going to make the switch to more effective straws. Some are writing off straws altogether, deciding to go straw-less for their cold beverages. One of the most cost-effective and eco-friendly materials we can use for straws is paper. Paper straws are sweeping this food service industry as a trendy, cost-effective, and green way to make a stance alongside the plastic straw ban. Big brands like Starbucks are phasing out straws altogether and replacing them with paper alternates. Most of these paper straws are built with cardboard like-paper and take a significant time to dissolve. Paper products like this are easily compostable and direct us towards a more eco-friendly future. 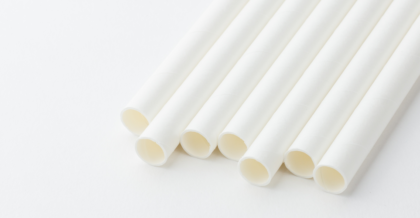 Alongside paper straws, people are opting to switch to Polylactic Acid or PLA straws for short. Don’t be dissuaded by the name, this plastic is made to last. Not to mention they have the same look and feel of regular plastic straws! The difference is PLA is a biodegradable material and takes about 6 months to decompose in a commercial composting facility. If you’re looking for a place to start to create a more eco-friendly business, don’t worry! Many businesses are looking to switching things up and don’t know where to begin. Look at what you’re using the most for your to-go products, or straw usage. Are you reaching for straws more often than necessary? Does your to-go packaging include straws on default whether someone ordered a drink or not? These are little changes that can have a big impact. Karat Earth® carries a whole line of PLA and paper straws at varying sizes to accommodate any beverage. From our straws, half-moon lids, to Strawless™ Sipper lid, we have you covered! Times might be changing, and they might be scary for some, but these little changes now are moving us slowly but surely into a brighter future.